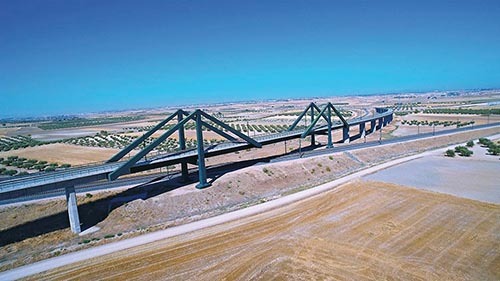 Ricardo has been confirmed as an approved supplier to Adif, the Spanish national infrastructure manager, following the signing of a new Framework Agreement. Under the terms of the agreement, Ricardo’s expert Certification teams will be available to provide key assurance services – such as Notified Body and Designated Body Certifications - across the infrastructure upgrade programmes planned for Spain’s 11,000km conventional rail network. These works include major improvements to the structural assets, signalling technologies and energy supplies that fall under Adif’s remit. Madrid-based team key to Ricardo's growing recognition in the Iberia market. The work will be delivered by Ricardo Certification’s 10-strong team of rail industry assessors based in Madrid, supported by technical specialists from Ricardo's international network of Rail offices, as required. The new Framework Agreement builds upon a previous framework signed in 2017 for the provision of independent assurance and interoperability certifications for the High-Speed rail network in Spain. Under that agreement the team is already providing Verification of Interoperability support on the construction works to increase capacity between Madrid’s Atocha station and Torrejón de Velasco. This section is being widened from two to four tracks and - along with the construction of viaducts, underpasses, overpasses and a tunnel - is part of a EUR600m programme to increase Atocha Station's capacity to 40 million passengers a year and improve high-speed connections between the capital and the cities of Barcelona, Valencia, Malaga, Seville and Alicante. Ricardo’s team has been part of the project since April 2018, helping to ensure it will meet EU interoperability requirements. "We are proud to be once again by chosen by Adif to be one of its most trusted technical partners as it prepares to undertake a number of important, yet challenging projects across the country. The signing of this new Framework Agreement builds upon our existing work on the High-Speed lines and shows the growing trust and value of our work within the national industry." Ricardo Certification operates as a separate and entirely independent business within the Ricardo group and is accredited to provide assurance services by the relevant regulatory authorities. The signing of this new Framework Agreement shows the growing trust and value of our work within the national industry.